A Winnipeg woman who has amassed a staggering collection of vintage dolls is searching for a new caretaker for her prized “family. Rozalynde McKibbin has been building the collection ever since she gave a makeover to a bald doll she found in a red dress. That happened on Valentine’s Day of 1966, so she named the doll Valentina. 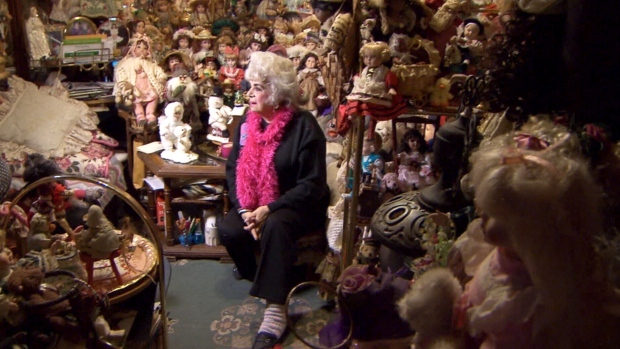 Fifty years later, her collection has multiplied to more than 1,000 figurines. They sit in her kitchen, atop her china cabinets, on her stairs and in countless perches throughout the house. McKibbin, now in her 70s, hopes to find a new home for her massive collection, on one condition: the group must not be divided up. “My neighbours say, ‘Hey, your stuff is going to end up in a garage sale.’ And I say, ‘No way, no way,’” she told CTV News. She’s contacted several museums offering up the dolls, including the Manitoba Children’s Museum in Winnipeg. So far, she’s had no luck. For McKibbin, the collection is priceless. Many of the dolls have been donated to her from former owners who have since died. A set of twin dolls were donated to McKibbin from two real-life twins who lived through the Second World War in Europe. They promised each other that, no matter what, their dolls would never be apart, McKibbin says. The Winnipeg woman has kept that wish alive, and she hopes someone else will take up the charge when she no longer can. With files from CTV Winnipeg Bureau Chief Jill Macyshon.